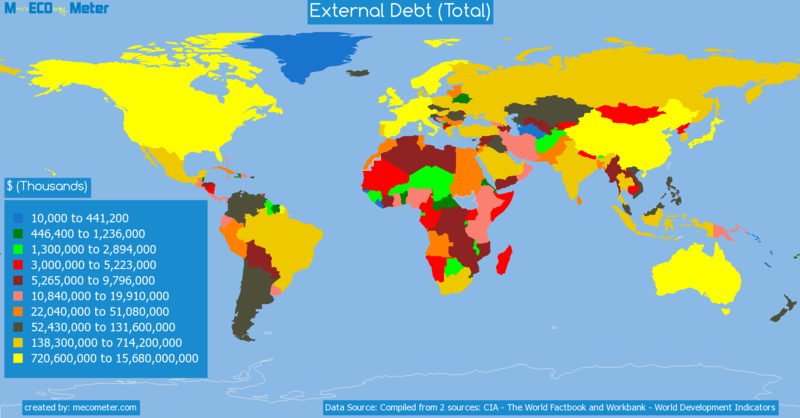 Value & RankThe External Debt (Total) of Sierra Leone is 1.33 ( billions of $) with a global rank of 154. 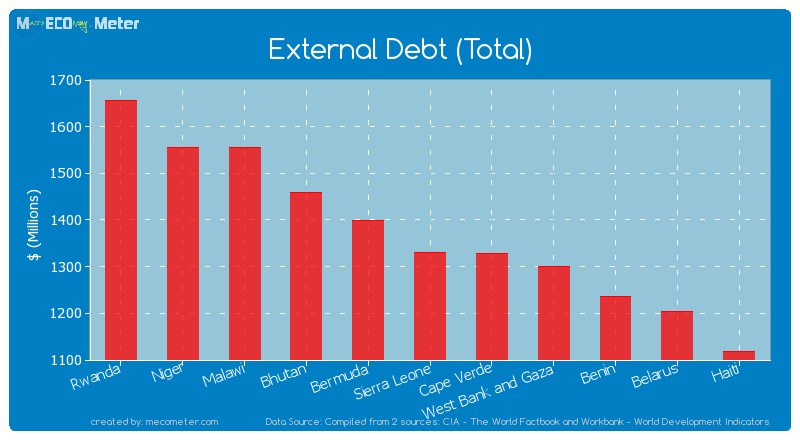 Sierra Leone compared to other CountriesThe External Debt (Total) of Sierra Leone is similar to that of Rwanda, Niger, Malawi, Bhutan, Bermuda, Cape Verde, West Bank and Gaza, Benin, Belarus, Haiti with a respective External Debt (Total) of 1.66, 1.56, 1.56, 1.46, 1.40, 1.33, 1.30, 1.24, 1.20, 1.12 ( billions of $) and a global rank of 149, 150, 151, 152, 153, 155, 156, 157, 158, 159.10 years declineSierra Leone's External Debt (Total) had a negative growth (decline) of 17.3 (%) in the last 10 years from (2003 to 2013). 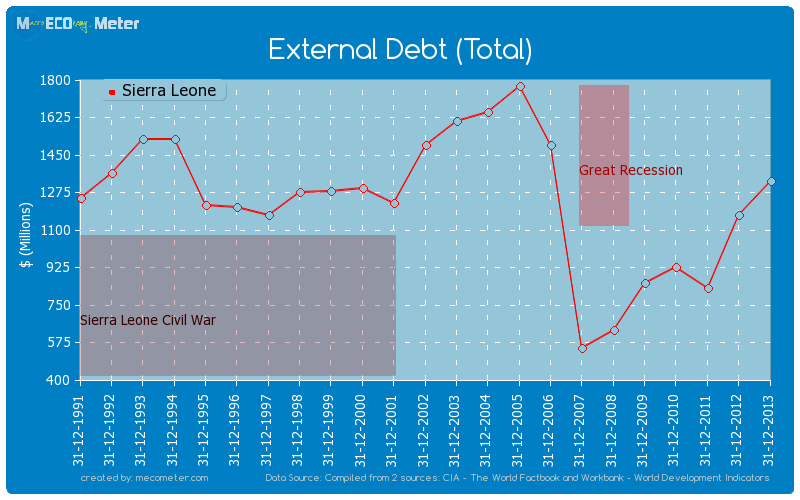 Last 10 years averageSierra Leone had an average External Debt (Total) of 1.17 ( billions of $) in the last 10 years from (2003 to 2013).